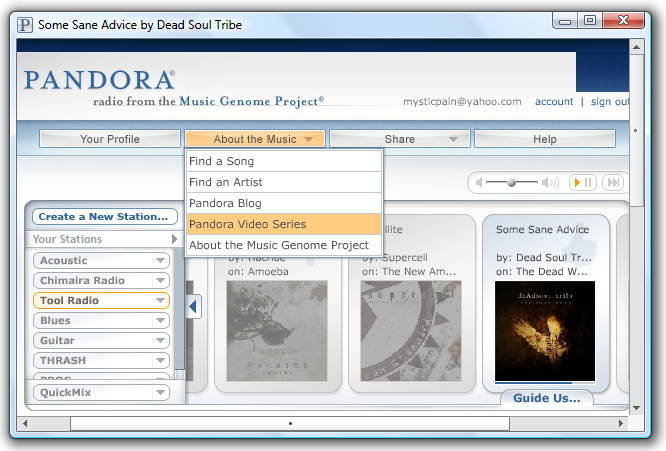 For all the fans of Pandora, the company has finally created a cool desktop application for us! Of course we still need an Internet connection for Pandora to work. Here we can take a look at the installation process and show some features pf the application. Keep in mind this project is still in beta and is available on Windows and Mac. Installation is pretty straight forward. You will want to install Adobe’s AIR first. 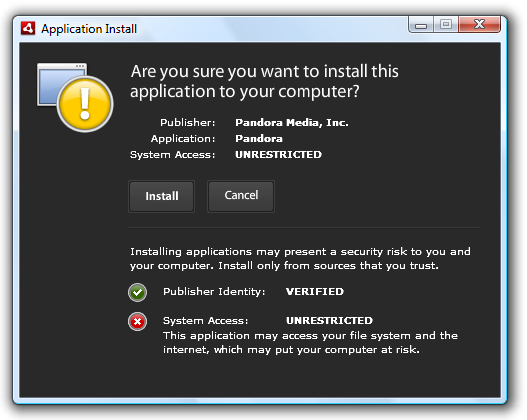 I chose to install the AIR and Pandora applications separately. However, they do have a package to download and install both together. The next step of the installation where you choose location, desktop shortcuts, etc. Finally the progress bar showing the final installation steps. 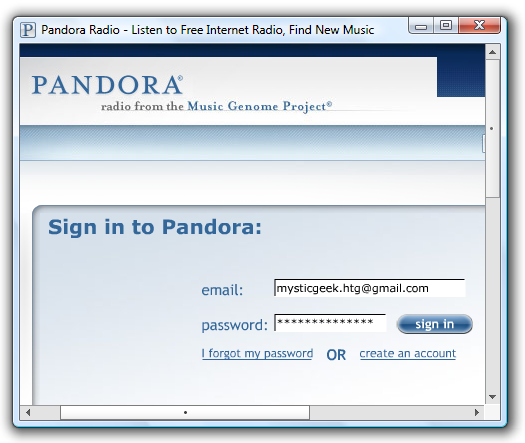 Now, we get the familiar login screen for the Pandora service. After signing in you will notice a small Pandora Icon on the Taskbar. Right click the icon to get a pop up menu. 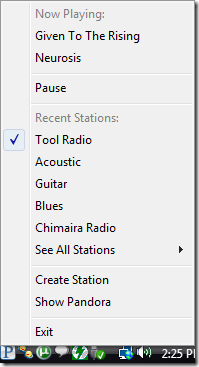 This menu allows quick navigation of different Pandora stations you have. It also will show what track is currently playing. You will have the familiar station UI with the new Desktop Application. Along with a few newer features built into the UI below the stations. Overall I would have to say I am very happy they have created this application for Pandora as it always bothered me to have to have a separate browser open all day when playing it. I think there are several features that can be added. I would love to see some skins for it and also a few other features to make it more functional. 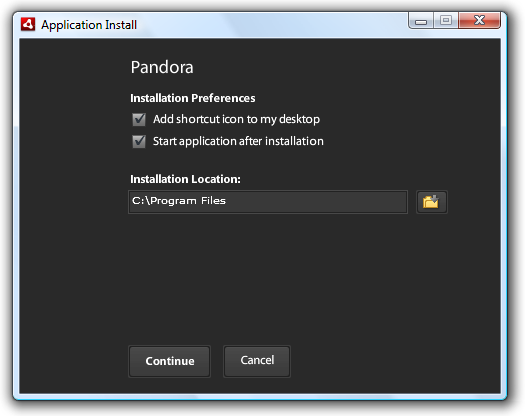 Pandora does encourage user input for ideas for the beta program.